When can social enterprises best offer solutions to intractable social problems? 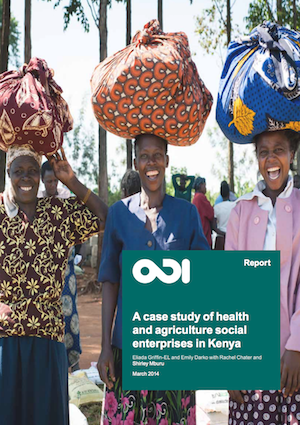 A review by our organization, the Overseas Development Institute (ODI), of social enterprise activity in the agriculture and health sectors of Kenya and Vietnam found that hybrid-model social enterprises cluster in niches that mainstream business and state provision does not reach. Identifying and understanding these context-specific niches could hold the key to effective support of social enterprise activities. ODI’s study defined social enterprise as “a business operation which has social or environmental objectives which significantly modify its commercial orientation,” also described as a hybrid business model. In doing so, the study sought to establish where such social enterprises operate on a spectrum of state, NGO, inclusive business and mainstream business models by looking at the markets they target and the services they seek to provide. In general terms, social enterprises target four main market niches. The first is markets serving the very poor, where profit margins are low and risks are high. In some such markets, there is debate as to whether fully commercial operations can fulfill the needs of the poorest client groups. and where people are not used to paying for services (for instance, agricultural extension services, where the state’s role has declined and no other actors have been able to adequately replace it). Thirdly, some social enterprises, particularly in Vietnam, were found to be involved in the management of infrastructure, which the state no longer has the resources to maintain and operate but which would be hard to operate on a fully commercial basis. Finally, hybrid model social enterprises may also be promoting products with environmental benefits which are commercially competitive, such as organic fertiliser and integrated pest management systems. The Kenya study also identified market development and access and absorption of modern technology as areas in which social enterprises may be best placed to support smallholder farmers. Health sector social enterprises tend to resemble income-generating social organizations more than socially oriented businesses, although there are also more business-oriented enterprises that emphasize a “no-frills” service for low-income clients, an approach in common with mainstream enterprise in low-income markets. 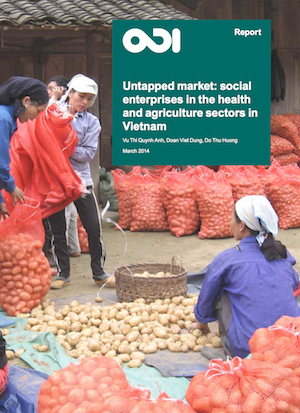 The Vietnam case study also identified reliable transportation services and the provision of counselling to vulnerable people as niches where social enterprises operate. In order to provide appropriate support to social enterprises, it is important to both understand what they are – and are not – and to promote their activities where they are providing the best, most cost-effective and relevant solution to a given problem, within a given sector. Understanding how social enterprises function at the sectoral level, and within which niches hybrid business models best function to complement state and mainstream business activities, is key to prioritising government and donor support. Regulation, subsidies and business support should not be indiscriminately provided to seek to achieve social ends. Understanding the type of organisation best placed to provide goods and services within a given context, at a given point in time, is key to appropriate resource allocation. Understanding the niches where social enterprise adds value should be the starting point of all support to social enterprise by government and donors. Emily Darko is a research officer in the Private Sector and Markets programme at the Overseas Development Institute (ODI) in London. William Avis is assistant to ODI’s Director of Research.